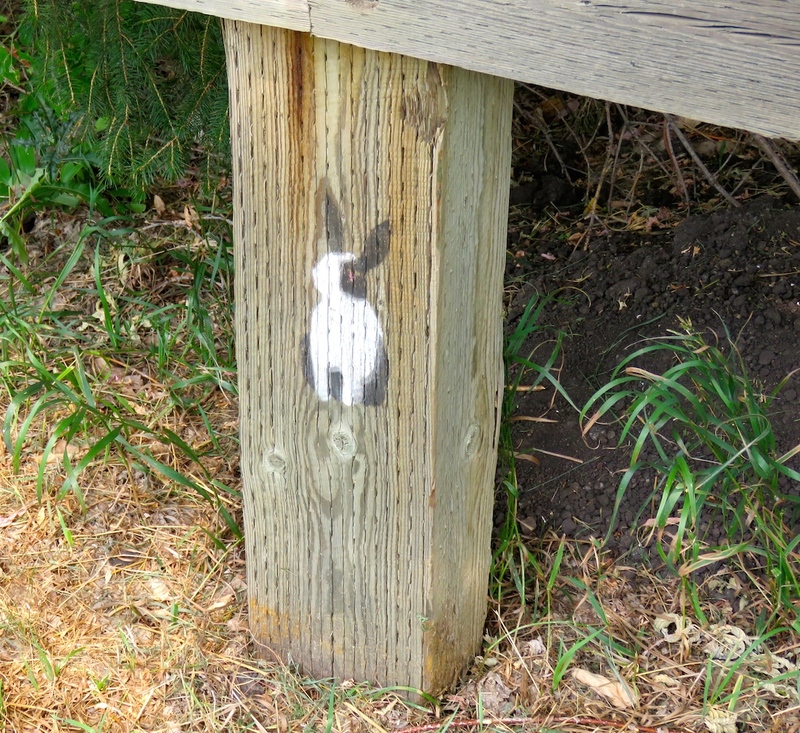 The bridge…in Glenora over MacKinnon Ravine. 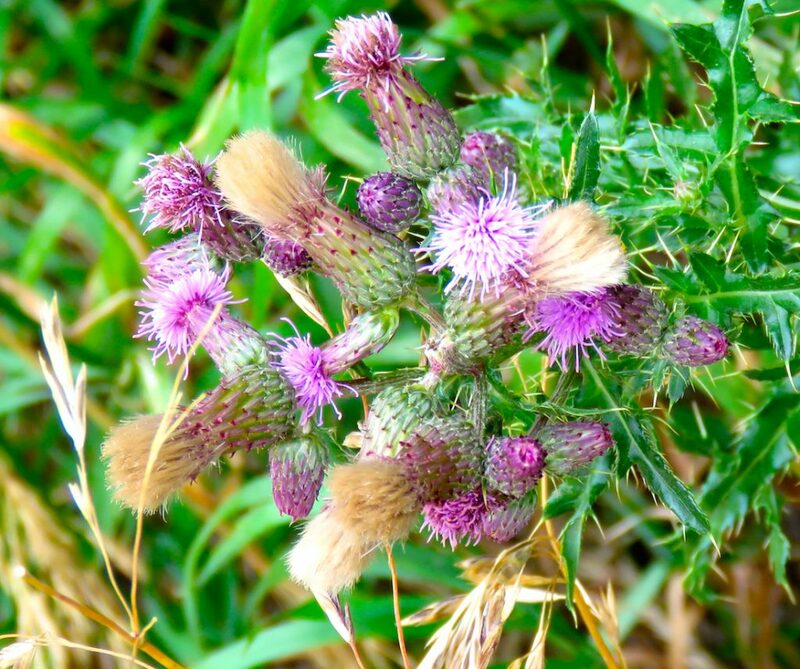 Once again, I’m behind on my blogposts, but happily, not my walks. Now to write three posts. Wednesday evening (July 19), I went over to Tom’s for a walk. The sky was filled with smoke and the sun was an orange orb. You could look right at it without setting your retinas on fire. 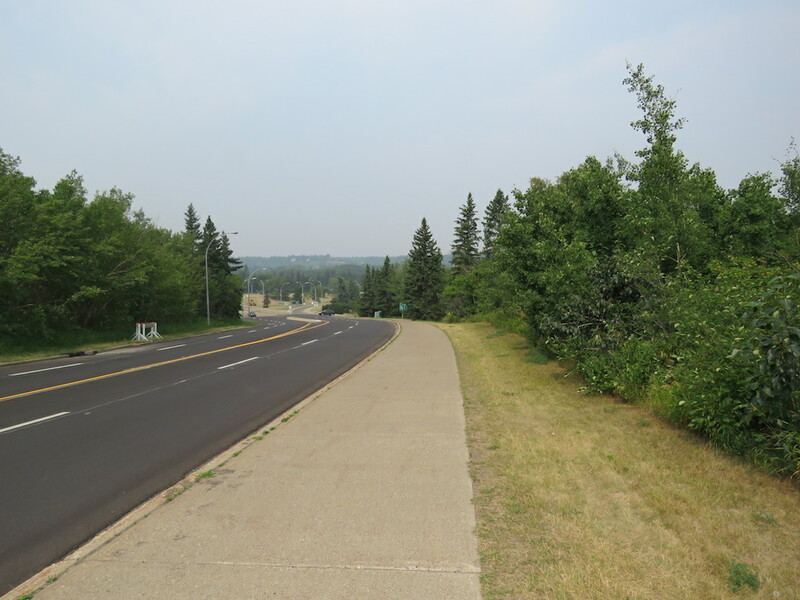 We walked our usual loop around Glenora. Other than the sun and smoke, nothing remarkable. 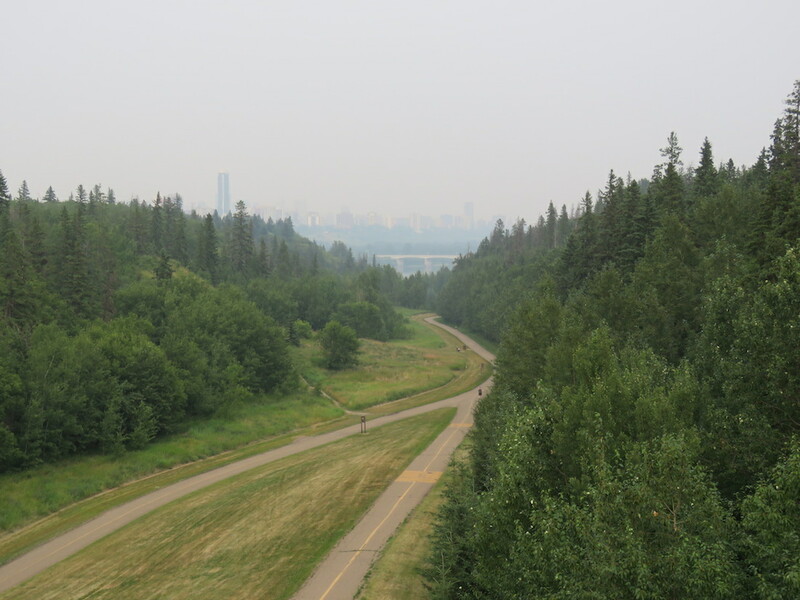 The next day, Thursday, I spent my lunch hour walking around a smoke-filled river valley. 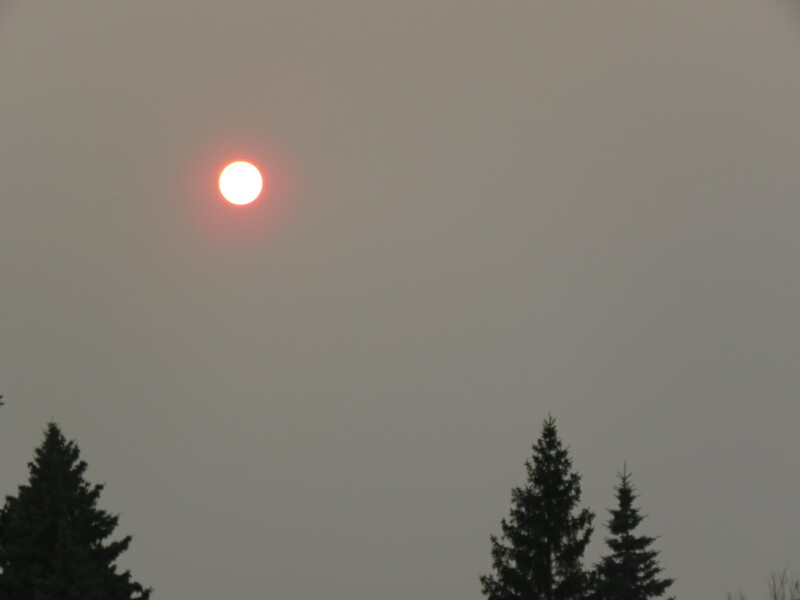 All week we’ve had a smoke advisory because of the forest fires in BC. It’s not as bad as it was in 2010, but it still makes for some ethereal landscapes. The hour-long walk was great, although I didn’t bust 10,000 steps. I walked down Saskatchewan Drive to Emily Murphy and then hung a right through the trail along the river. Usually that path is wet and humid but it’s been very dry of late after a wet spring. Even scanning the horizon, the hills and boulevards on the way to Hawrelak are yellow, in contrast with the spruce trees and the green bushes (of various leafage). Because I am writing this a few days after the fact, I can’t remember what the temperature was, but the heat was tempered by the sheath of smoke. Probably about 22C.